If there’s one position group on Liberty’s offense that could possibly struggle this offseason with complacency, it would be the running backs. 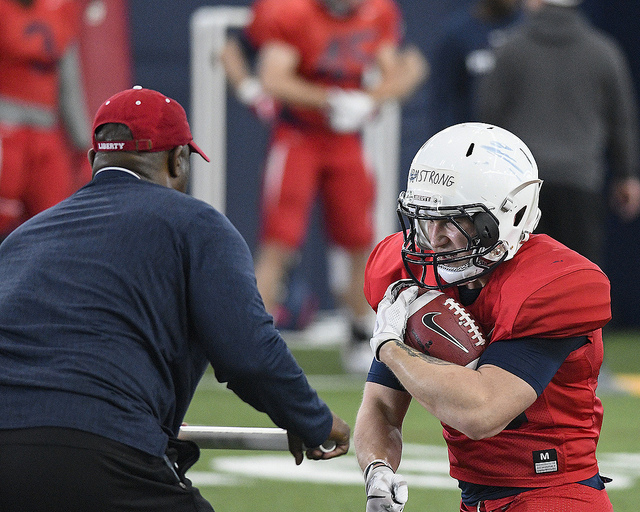 The Flames’ running back group returns its top two rushers and only two backs that played in all 12 games in 2018, Frankie Hickson and Peytton Pickett, while adding talented Maine transfer Josh Mack and youngsters Frank Boyd, Troy Henderson, and Treon Sibley. So, to hear them all talk about needing to step up to push to new heights is quite the testament to the new coaching staff. Bruce Johnson is Liberty’s 5th running backs coach in as many years, joining Coach Freeze’s staff in late January after serving as Assistant AD/Director of On-Campus Recruiting at Indiana in 2017. Prior to his time in the Big Ten, Johnson was on staff at Ole Miss from 2012-2017 in a variety of roles. His top two returning backs, Hickson and Pickett, combined to rush for over 1,500 yards and 20 touchdowns in 2018, but both have been sidelined this spring due to various ailments. Both are expected to be ready to go for the 2019 season. With a new coaching staff and offense in place and being unable to practice, veterans Hickson and Pickett have been deep in studying the playbook and going through walkthroughs before and after practice. Pickett has been able to return to practice in recent days, including this past Saturday’s spring game before being pulled in the 2nd quarter. 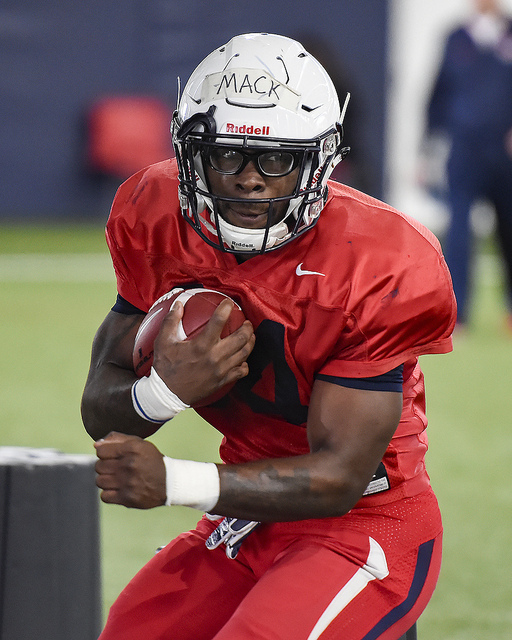 After sitting out the 2018 season due to NCAA transfer rules, Mack is preparing to make an impact this season. In 2017, he was the leading rusher in FCS at Maine with 1,335 yards while averaging 5.5 yards per carry. He has 2 seasons of eligibility remaining. 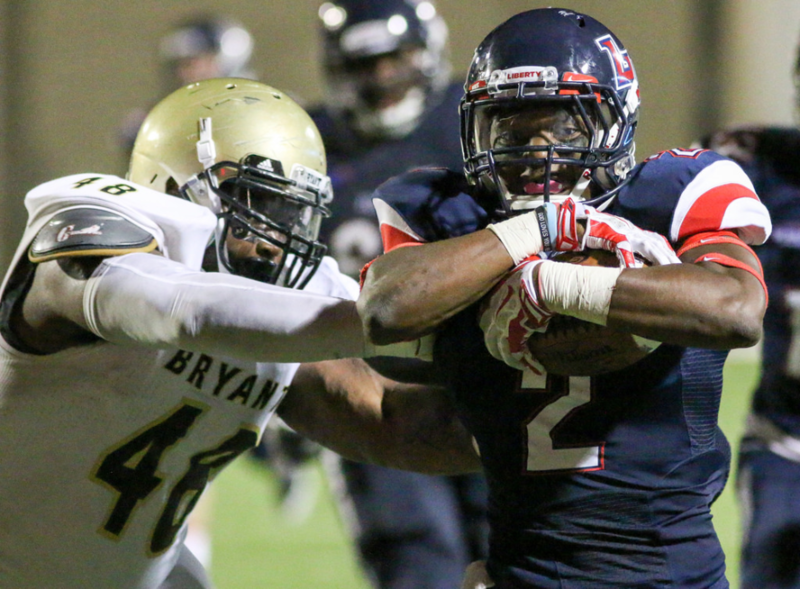 Boyd saw limited action as a redshirt-freshman in 2018 where he rushed for 228 yards and 3 touchdowns on 42 carries. Troy Henderson is coming off his redshirt season; he was a 3-star rated prospect out of high school. 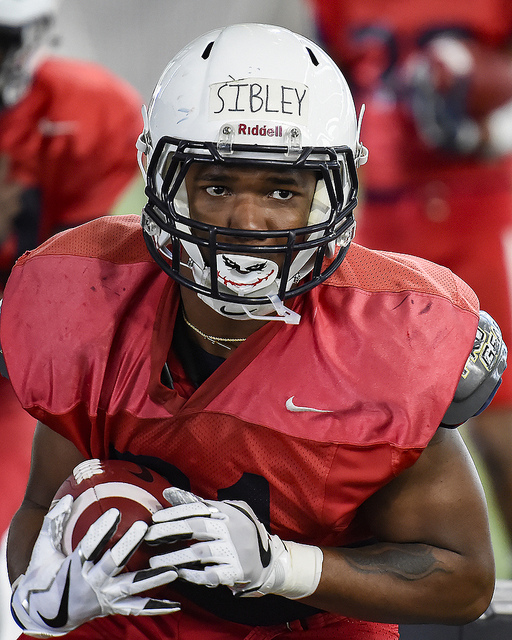 Treon Sibley was one of the first guys Coach Freeze targeted since becoming head coach. He was brought in at the December signing period and enrolled for the spring semester. Sibley was originally signed as a wide receiver, but he was moved to running back early in the spring. The team’s motto this spring is “Tougher Together”, and it’s something the running backs are taking ownership of. Coach Johnson agrees. He’s always looking for different ways to connect with each and every person in his room, to find the perfect way to push them to levels they’ve never seen before. If the amount of energy Coach Johnson brings is any indication, the running backs will have a very successful 2019 campaign in a new look offense.